The North Carolina Office of State Archaeology is pleased to announce a new internship opportunity focused on documenting American Indian Schools in North Carolina. Please visit the posting for details and requirements. We are pleased to announce the publication of a new book by OSA staff member Mary Beth Fitts. 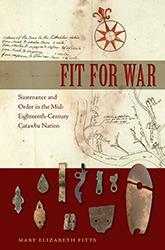 Combining ethnohistory and archaeology, Fit for War: Sustenance and Order in the Mid-eighteenth-century Catawba Nation, explains how the Nation maintained its sovereignty while continuing to reside in its precolonial homeland near present-day Charlotte, North Carolina. 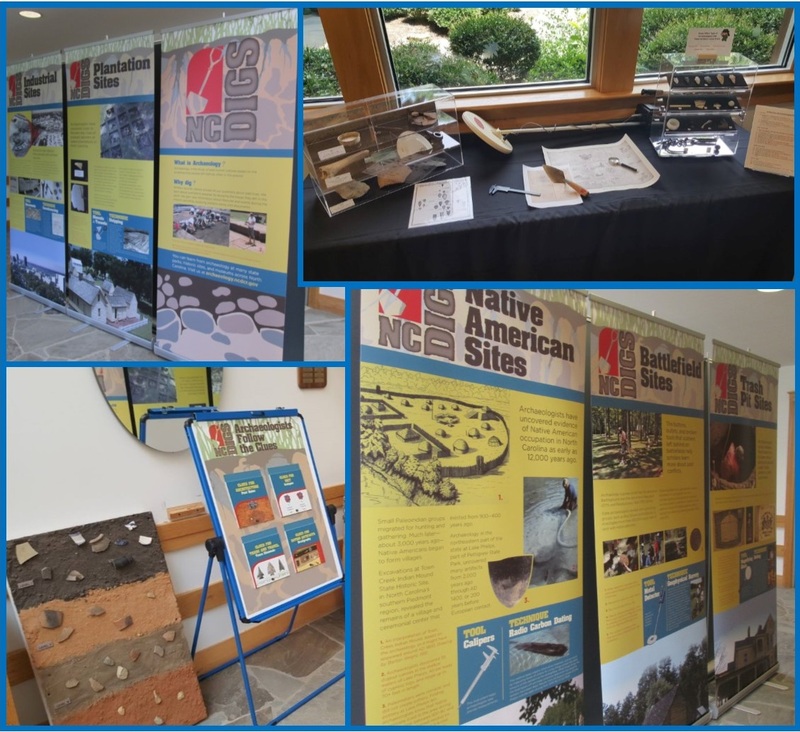 This Summer, the Office of State Archaeology (OSA) will be hosting youth from the Raleigh History on the Move! Summer Camp at the OSA Research Center. This is the second consecutive summer that camp participants have visited the facility. The camp, which is based at Mordecai Historic Park, lasts one week and focuses on local history and culture. It takes students to various places around the city, such as the City of Raleigh Museum, Pullen Park, the State Capitol Building, and Oakwood Cemetery. Read about Jacque Dinnes’s M.A. 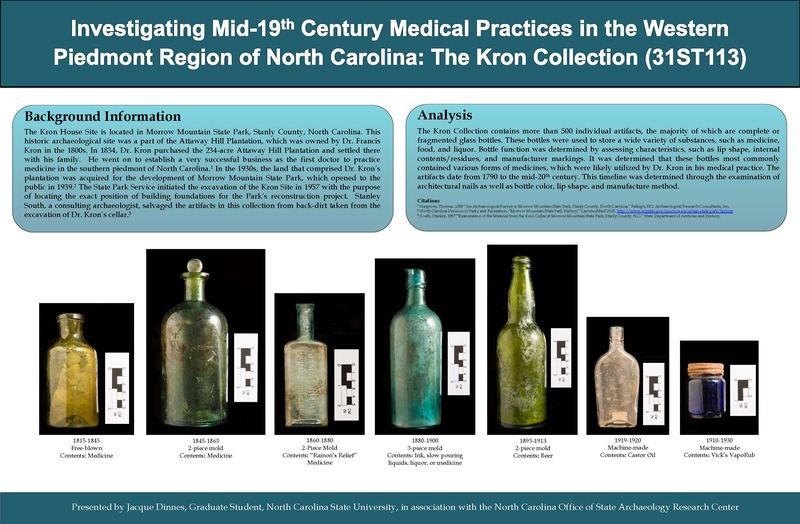 research on the collection from the Kron House Site in the North Carolina Archaeological Society newsletter. Thanks for all your help at OSA this year! May 2, 2017 - There is a 24-week paid internship opportunity for an archaeologist located in Asheville, working for the U.S. Forest Service. Permanent positions opening in the fall in Alabama and Arkansas may provide the ability for permanent employment. On April 20th, UNC-Chapel Hill’s Graduate School held an awards ceremony at which Mary Beth Fitts was publicly honored with a Graduate Education Advancement Board Impact Award for her dissertation research on the archaeology of the Catawba Indian Nation. The workshop will focus on how the State Historic Preservation Office with the Office of State Archaeology carries out the review of development projects under federal and state laws and regulations.